Mark and Winnie have a forever family! On Friday, Winnie’s family came to pick her up and join Mark. Mark was adopted last month and they will be forever brother and sister. They were so excited to complete their family and have both Mark and Winnie with them now. Mark loves Mom and Dad and seems pretty attached to them after just 6 weeks in their care. It was awesome to see! We trust Winnie will be the same next time we get to see her. David goes home to his adoptive parents this week as well. David’s Mom and Dad are also considering a second adoption. We are praying for God to provide clarity in that situation. We know that David will be loved and we hope a little brother or sister might soon join him! We love to see children placed in loving forever families. Although Winnie and Mark and David are in their families now, we will always be grateful for being a tiny part of their story. They will stay with us in our hearts and we will see them often! 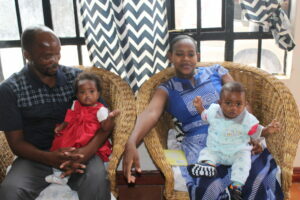 Kendi also left the same day to join her siblings at a children’s home down the street from us. Kendi’s sisters went into care after Kendi was at the Neema House. It is definitely not our favorite outcome for any child, but this way they will still be together. 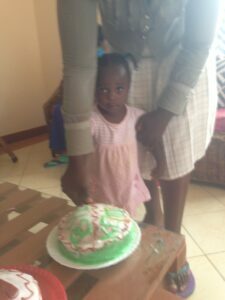 They love her very much and her older sister was so overjoyed that instead of the typical visits where Kendi would go and then come back home to us, now she would be staying. We still hope and pray for a family solution for them.